AMD is set to report fourth-quarter earnings after Tuesday’s closing bell. Ahead of the results, shares were down 5% — one day after rival Nvidia warned that conditions in China had led to an “extraordinary, unusually turbulent” quarter. The warning from Nvidia could indicate an earnings miss for AMD, one Wall Street analyst said. Ahead of the results, shares had already plunged 5% Tuesday — one day after rival Nvidia warned that conditions in China had led to an “extraordinary, unusually turbulent” quarter. The chipmaker cut its revenue guidance for the fourth quarter to roughly $2.2 billion, down from about $2.7 billion. And one Wall Street analyst says the warning from Nvidia could indicate an earnings miss for AMD. “While the other shoe has dropped at NVIDIA, we think AMD is further behind in working through its GPU inventory issues,” said Susquehanna International Group analyst Christoper Rolland. The 2017 crypto boom led chip giants to overproduce graphics processing units for miners of digital coins. That created an inventory problem when the digital-token market crashed in 2018 , leaving AMD with no place to hide, Rolland previously told Markets Insider. 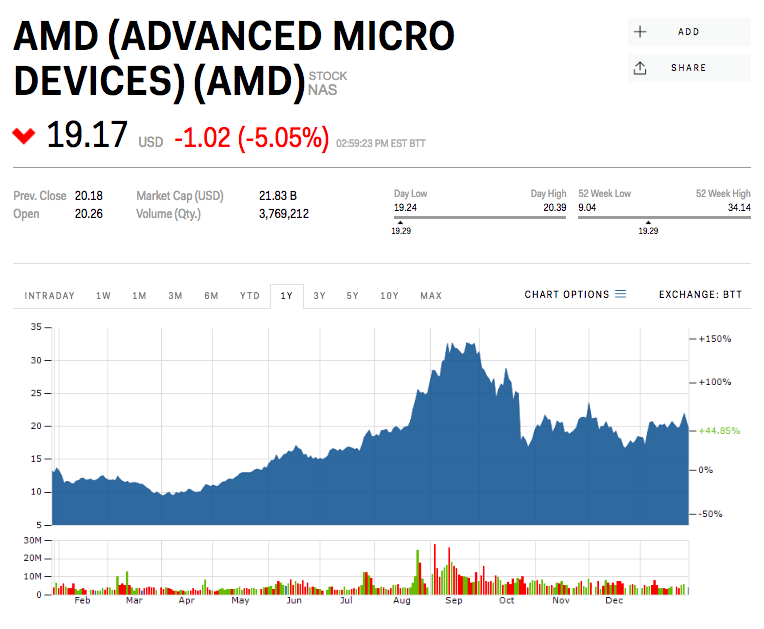 In May, AMD warned its crypto businesses would fall to near zero as the boom turned into a bust. 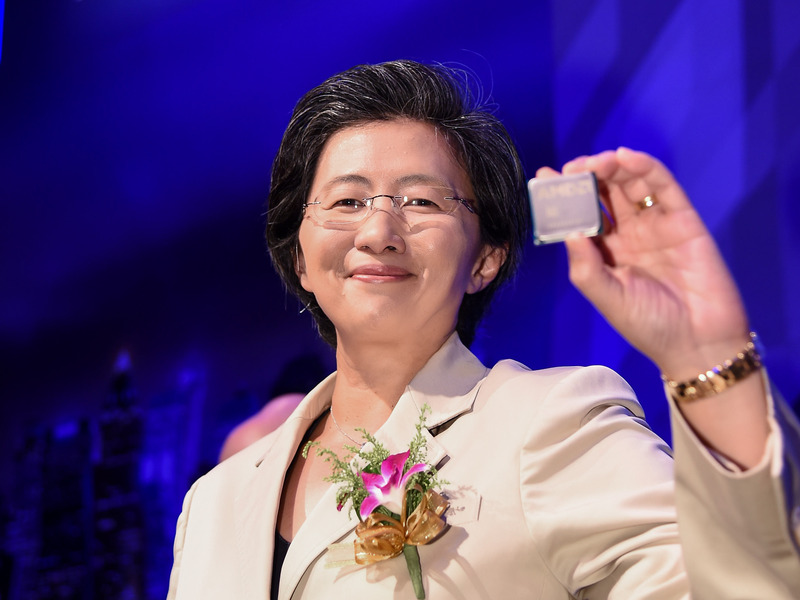 And in October, AMD’s results fell short of Wall Street estimates, but the chipmaker didn’t mention the impact from crypto. A month later, rival Nvidia posted brutal third-quarter earnings, largely attributing underwhelming financial results to its overproduction of GPUs for crypto mining. AMD shares were up 5% this year and were trading near $19.16 on Tuesday. They gained 45% in the past twelve months.